Reducing food residue by proper preparation methods before endoscopy after distal gastrectomy can increase the quality of examination and decrease patient discomfort. We evaluated the risk factors for food residue and proper methods of preparation for endoscopy after distal gastrectomy. Follow-up endoscopy with questionnaires was performed on 1,001 patients who underwent distal gastrectomy at Asan Medical Center between December 2010 and July 2011. Endoscopic examination failed in 94 patients (9.4 %) as a result of large amounts of food residue. Rates of failure were significantly higher in patients who ate a regular diet rather than a soft diet at last dinner before examination (13.9 vs. 6.1 %, p = 0.050), and in those who ate lunch rather than not eating lunch on the day before examination (14.6 vs. 7.7 %, p = 0.020). Multivariate analysis showed that the rate of failed examination was lower in patients who had a history of abdominal surgery (p = 0.011), those who ate a soft (p < 0.001) or liquid (p = 0.003) diet as a last meal rather than a regular diet, those who underwent Billroth I rather than Billroth II reconstruction (p = 0.035), patients with longer fasting time (p = 0.009), and those with a longer gastrectomy-to-endoscopy time interval (p < 0.001). 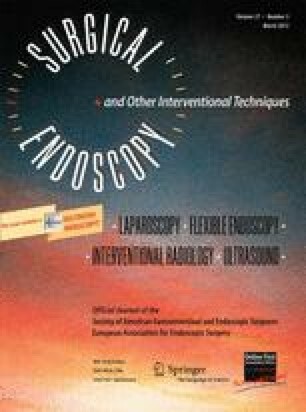 Patients who undergo follow-up endoscopy after surgery should fast more than 18 h and ingest a soft or liquid diet on the day before examination. J. Y. Ahn, H.-Y. Jung, S. E. Bae, J. H. Jung, J. Y. Choi, M.-Y. Kim, J. H. Lee, K.-S. Choi, D. H. Kim, K. D. Choi, H. J. Song, G. H. Lee, J.-H. Kim, and S. Han have no conflicts of interest or financial ties to disclose.